One of my all time favorites, and a real classic. 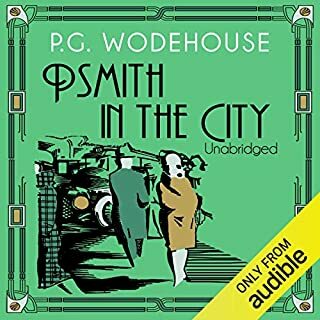 What did you love best about Psmith in the City? The suavity of Psmith and his devotion to those around him--also his socialism and rascally nature. Wodehouse always homers with the language. Have you listened to any of Jonathan Cecil’s other performances before? How does this one compare? Yes, I've heard many of his performances. He is always excellent. 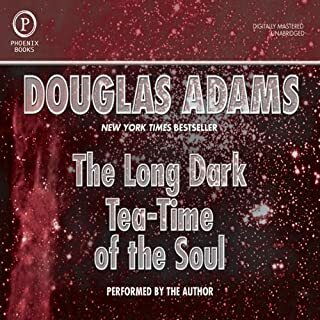 Would you listen to The Long Dark Tea-Time of the Soul again? Why? Absolutely! The Wit and warmth make this a book I could listen to many times. What was one of the most memorable moments of The Long Dark Tea-Time of the Soul? The waiter. Obscure but perfectly worded. I love Adam's restaurant satire. Have you listened to any of Douglas Adams’s other performances before? How does this one compare? Yes, this would be my seventh. First one he read himself though. Not bad at all, but a bit of a poor recording as far as background noise is concerned.